It's important to keep your money safe, be able to make the payments you need to make and that you have enough money to meet your needs. The ability to manage money is essential for young people, especially as they transition into adulthood as it contributes greatly to their ability to live independently and to take control of their lives. A budget is a 'plan' of how to spend your money. This helps you make sure that the money you have is divided in a way that will cover the things you need to spend it on. A budget can be done weekly or monthly or for whatever time period works for you. This section provides information on your rights if you are not able to make decisions about your finances. Being unable to make a decision is called ‘lacking capacity’. The Mental Capacity Act is about making sure that people have the support they need to make as many decisions as possible. Click here for more information on the Mental Capacity Act. The Mental Capacity Act is also available in an Easy Read Guide from the downloads on the right of this page. If you do lack capacity, treatment and care should be least restrictive of your basic rights and freedoms. You can request an Independent Advocate who can support you to make decisions in certain situations. More information can be found on NHS advocacy services page. Barclays Bank has developed a resource in partnership with the British Institute of Learning Disabilities. It's a useful reference guide to banking, covering many areas from paying money into a bank to using a cash machine. Offered by MoneySuperMarket.com in association with The National Autistic Society, the Managing Money Module offers simple learning covering a wide range of money-related topics. It can be completed in one visit to the website or accessed section by section over as many visits as necessary. The learning was created to assist people to recognise their strengths as well as the challenges they may experience with managing their money. It shares real-life experiences of autistic people about the sorts of difficulties they encounter, and how they successfully manage their money. There is a wide range of disability-related financial support, including benefits, tax credits, payments, grants and concessions. 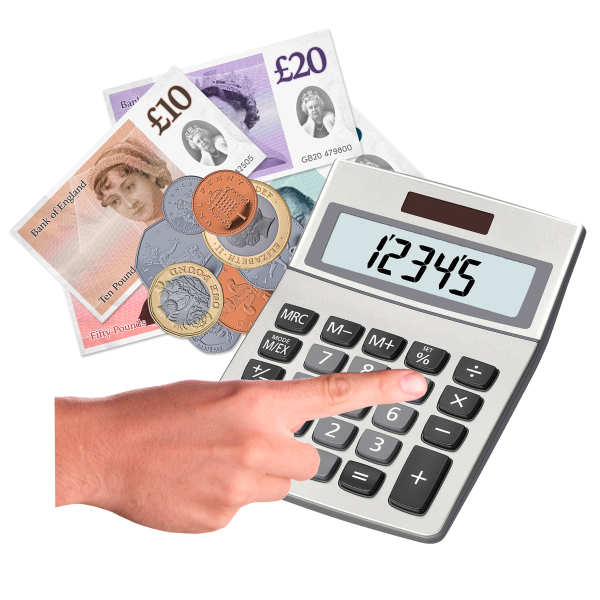 The Financial Help if You're Disabled page on the government site gives a brief overview of each, leading to more in-depth guidance and how to apply at the end of each section. In addition to the government site, you may find useful information/ links relating to money, money advice and debt helpful by visiting Whizz Kidz. Personal Independence Payment is gradually replacing DLA for people aged 16 to 64 with long-term ill health or a disability. Personal Independence Payment (PIP) is a tax-free benefit for people aged 16 to 64 to help with the extra costs caused by long term ill-health or a disability. You may be able to get Employment and Support Allowance (ESA) if you can't work because of illness or disability. Carer's Allowance is extra money to help you look after someone with substantial caring needs. You could also get Carer's Credit so there won't be any gaps in your National Insurance record if you have to take on caring responsibilities. You can apply for exemption from paying vehicle tax. The vehicle must be registered in the disabled person's name or their nominated driver's name. The Mobility Scheme can help you with leasing a car, powered wheelchair or scooter. You may be entitled to discounted travel if you are currently unemployed and looking for work. Visit your nearest JobCentre Plus to see if you can apply. If you've been assessed by your local council as needing care and support services, you may want to choose Direct Payments. They allow you to buy in and arrange help yourself instead of receiving it directly from your local council. Disabled Facilities Grants are local council grants. They help towards the cost of essential adaptations to your home to enable you to continue to live there. Visit www.ealing.gov.uk/improvementsandrepairs to find out more. Housing Benefit is paid and Council Tax Reduction is offered to eligible people. You will also automatically qualify for Housing Benefit and Council Tax Reduction and may receive help towards health costs, such as prescriptions. If you're in work but on low pay, you can apply for Working Tax Credit to top-up your earnings. You may get extra if someone in your household is disabled. If you're looking for work and get income-based Jobseeker's Allowance, you may also qualify for disability premiums. The Blind Person's Allowance allows you to receive an amount of income without having to pay tax. It's added to your personal tax allowance. If the person who is registered blind is not the current licence holder for your address, you'll need to transfer the licence to their name. If you're disabled or have a long-term illness, you won't be charged VAT on products designed or adapted for your own personal or domestic use. To get the product VAT free your disability has to qualify. Contact provides support, information and advice to families caring for children and young people aged 0-25, with any disability or additional need, regardless of diagnosis. Get help applying for financial help and benefits - this includes help paying for rent and adaptations for disabilities around the home. EalingCarers Service provides information, advice and signposting for unpaid carers across Ealing. The service is supported by HillingdonCarers. If you are 13-19 years old, or up to 25 years old if you have a disability or learning difficulty, then you can talk to an Ealing Connexions adviser to help you plan and prepare for your future. Our experienced advisers are based in schools and youth centres (Ealing Westside). They can give you information, advice and guidance to help you choose the right course, apprenticeship, training or employment option for you. Advisers can also help you access benefit schemes. Ealing Specialist Advice Service will offer free, confidential advice to carers or adults with additional needs in Ealing. ESAS can arrange advice appointments via telephone, text, email or by visiting the office. Job Centre Plus offer advice on Jobseeker's Allowance, Employment & Support Allowance, Income Support, Incapacity Benefit, reporting changes in circumstance, crisis/budgeting loans, community care grants, cold weather payment, job seeking (including online access), National Insurance number applications. The community benefits team can provide advice and assistance on welfare benefits primarily for people with mental health needs, physical disabilities and older people. The team can provide information on identifing appropriate benefits and services, completing and submitting claims, appeals and tribunal processess. A benefits advice line is also available providing general advice about benefit entitlements and is open to all residents in the borough. To access this service a referral must be made through the Councils own and support team, and other voluntary or community based groups. To make a referral, professionals will need to complete the referral form found on the council website. Getting support to understand the Disability Living Allowance.